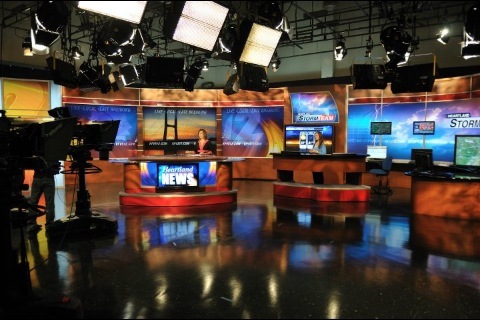 Did you notice that KFVS12 and Heartland News is now being broadcast in HD? 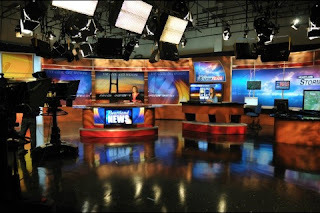 They debuted the new set and HD equipment today during Heartland News at Noon. The set looks great! Wait until you see all the background changes that can be done with the set. A lot of work and planning has gone on behind the scenes at the station to get the switch complete. A brand new set had to be designed, built, shipped and installed. Not to mention the HUGE expense of a new set ($$). All new television broadcast equipment had to be ordered, delivered and installed. Some of the new things include HD monitors, new switcher, graphics computers, wiring, lights, etc. I can tell you that the planning has been going on for months and, in some cases, years. Great job to everyone in the Engineering and News departments at KFVS. I am going to be filling in for weather this Saturday, July 30 on Heartland News at 6pm, Heartland News at 9pm and Heartland News at 10pm. So you will soon get to see me in HD. I apologize in advance for having to see me in HD. It could be a scary! I have gotten a lot of questions asked if I am coming back to KFVS12. I am not going back to KFVS12 full time. Before I left, I told the station I would be willing fill in for an occasional Saturday shift until they find a person to fill my old position. This is more of an occasional thing, not permanent. On a side note: I have been a little slow at updating my forecast page. I am still in the process of getting moved in to a place in St. Louis. In fact, I am playing a game of musical hotels until my place is ready. Once I get settled in I will be able to get in to a routine of updating the forecasts on a daily basis.